Store demo, being sold as new and comes with full Factory Warranty. Fully serviced and ready to go. 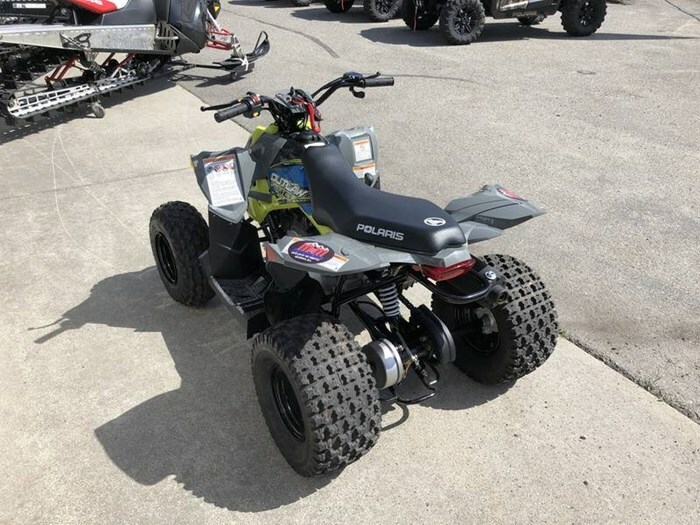 2017 Polaris® Outlaw® 110 Lime Squeeze For riders 10 years old and older with adult supervision Parent-adjustable speed limiter Electronic Fuel Injected (EFI) 112 cc Engine Features may include: YOUTH FEATURES ALL NEW! COLORS & GRAPHICS Check out the All NEW! 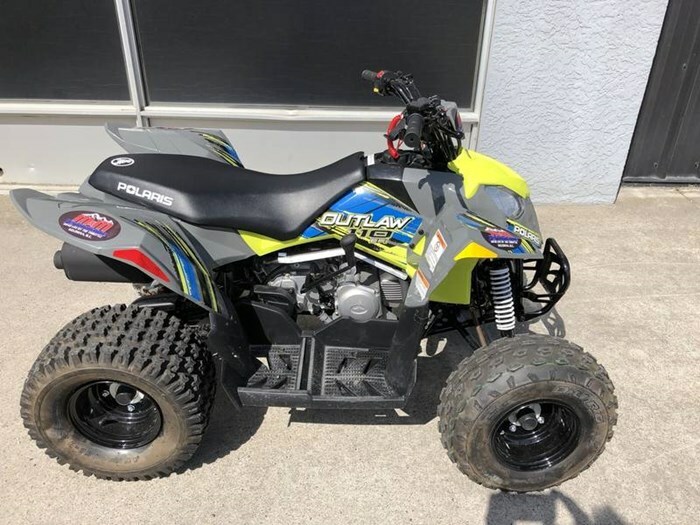 Colors on Outlaw, Sportsman®, and Phoenix ELECTRONIC FUEL INJECTED (EFI) 112 CC ENGINE EFI for consistent starting, improved idle quality, and a crisp linear throttle response. 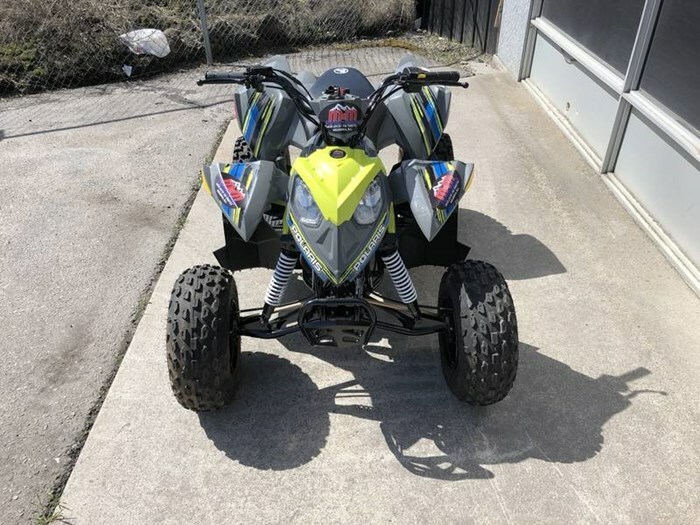 PARENT ADJUSTABLE SPEED LIMITING Easily select from a 15 MPH restricted mode, or unrestricted 29 MPH based on rider skill level. EFI provides more accurate speed control in all operating condition when compared to a mechanical throttle limiter. 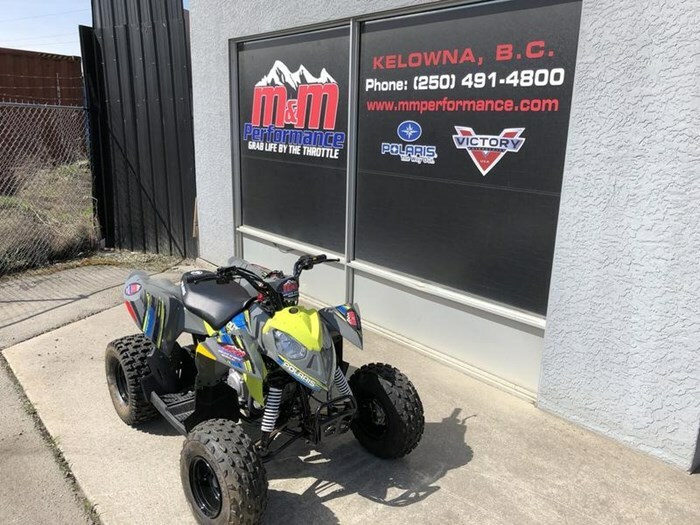 STANDARD SAFETY FEATURES Includes 1 youth helmet, daytime running lights, and a safety whip flag as standard equipment. LONG-TRAVEL FRONT AND REAR SUSPENSION Bumps in the yard and on the trail are soaked up by 5" of suspension travel up front and 6" of travel in the back. ELECTRIC START Straightforward starting makes it easier to hit the trail. 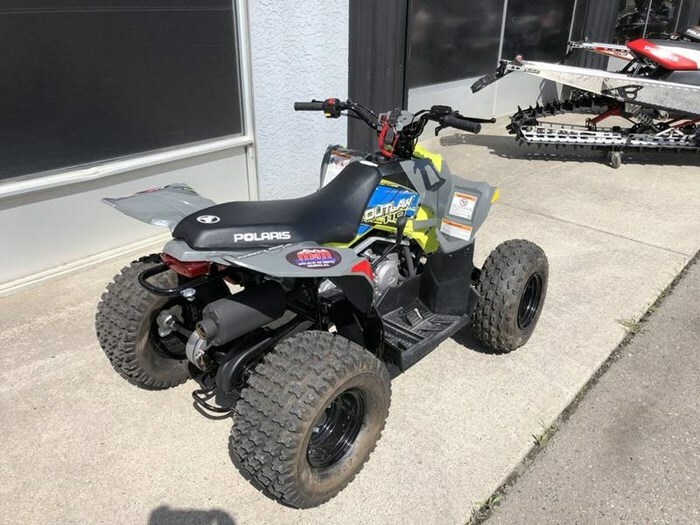 SUITABLE FOR AGES 10 AND OVER This vehicle is for recreational use by young operators 10 and older while under adult supervision.